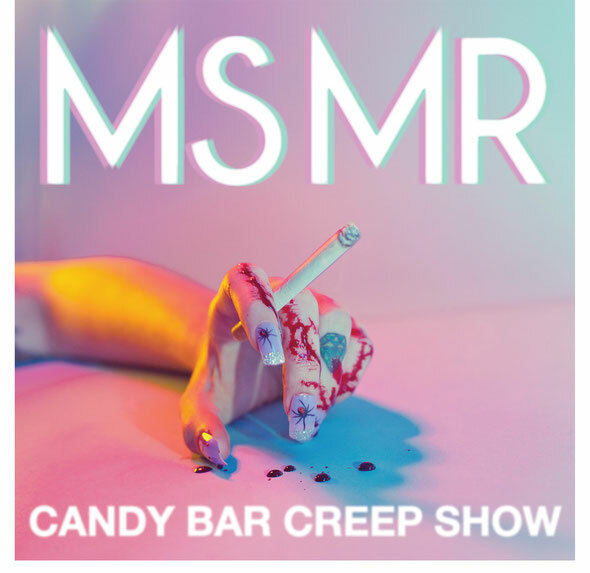 Tumblr break-out stars MSMR release their brand new four-track EP ‘Candy Bar Creep Show’ on October 22nd. The New York duo is the first band ever to release an EP of all original material exclusively through Tumblr, with tracks released during September at msmrmusic.tumblr.com. The band has harnessed a unique following on the Tumblr community using gifs, images and quotes to embed and express themselves. The EP will then be fully available via iTunes and on limited edition 7” vinyl. Kicking of yesterday, once a week through September – starting with lead track ‘Bones’ - a track will be released in a Tumblr post along with artwork, a video, and an official remix. It will also be possible to download the stems for each song for fans to make their own remix and submit them back to MSMR. The band will pick their favourites from those submitted and include them in an official album campaign next year. Remixers the band has worked with on the EP include Tom Vek and Twin Shadow amongst others.